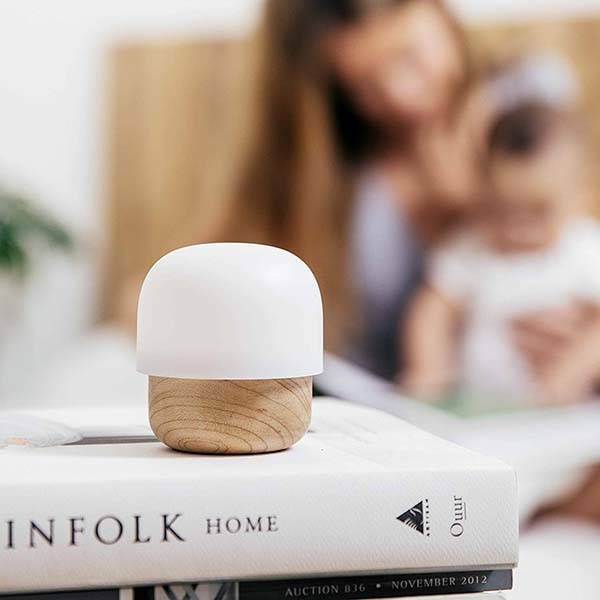 With the gentle light and cute design, Takieso mini LED kids night light ensures your baby comfortably fall asleep. Like the idea? Let’s keep checking. This is an adorably designed and easy-to-used LED nursery night light that measures 4 x 4 x 2.7 inches and weighs 9.9 ounces. 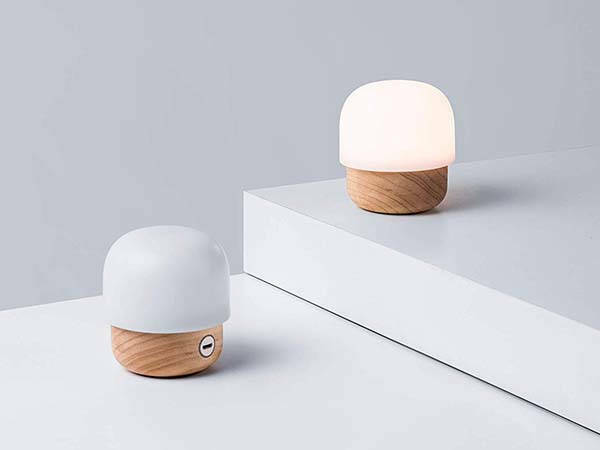 As we can see from the images, the LED night lamp shows of a cute mushroom design to meet every little one’s aesthetics, and the base is made from FSA certified top-class hard maple from North America, painted with natural vegetable oil, while the top hat is made of anti-allergy PC material, so the combination not only creates an elegant and harmonious combination, but also ensures it’s safe enough for kids. The LED night light comes equipped with 12 built-in OSRAM LED beads in order to produce gentle, soft and non-flickering light without blue light hazard, and the light color temperature is 2800K constant, closest to the natural light for eye protection. Furthermore, using built-in 1600mAh rechargeable battery, you can easily place the night lamp anywhere in your house. Just pressing the lampshade, you can easily turn it on/off, while turning around the lampshade allows you to adjust the brightness. In addition, its overvoltage, overcurrent and short circuit protection makes it safe to use. 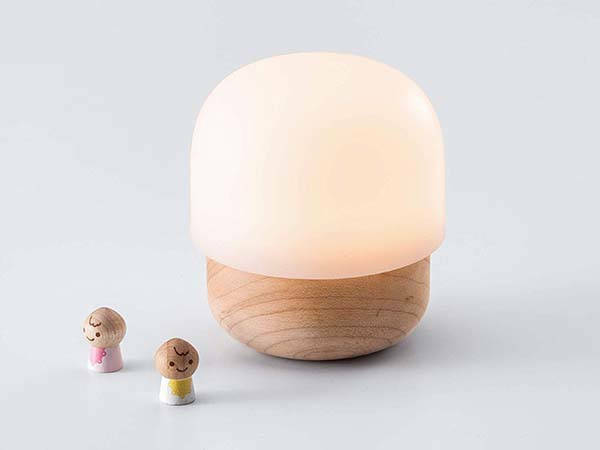 The LED kids night light is priced at $29.90 USD. If you’re interested, jump to the product page for its more details.